These kits fit frames that have been bridge cut to Nowlin/Wilson. 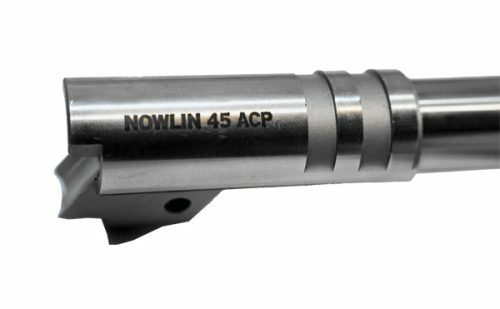 Our Nowlin ramped barrel is desirable for both improved function in some cartridges as well as better case head containment in high pressure loadings. 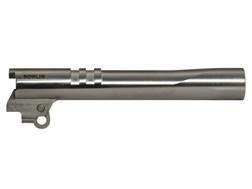 Our barrel is bar stock 416R SS, with a hardness of 40 Rockwell C, electrochemically machined (ECM) to our demanding standards. The bores are an amazing 8 RMS smooth and when air gauged, vary less than 2/10,000″. That’s why they shoot less than 1/2″ @ 25 yards out of our barrel test machine. 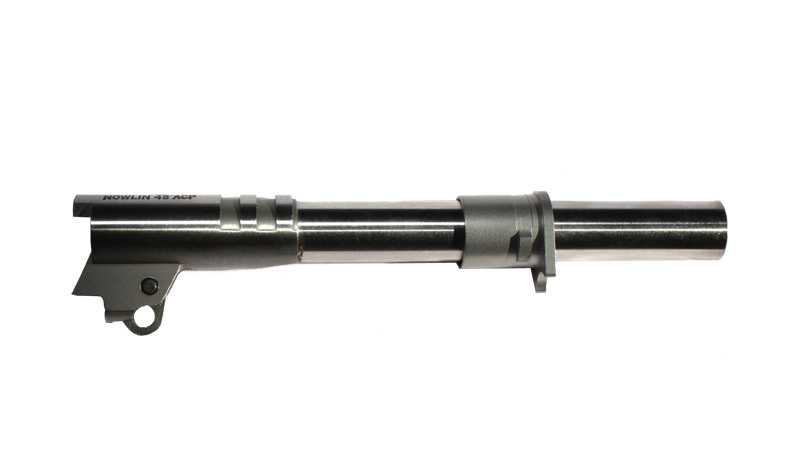 Less of the case head is exposed as compared to standard non-ramp barrels. Barrel hood, chamber, bottom feet, and top lugs are pre-fit for increased accuracy. Machining of the frame to accept a ramp is required if not already accomplished. PRE-FIT KIT Includes: Pre-fit Stainless Steel barrel bushing (.581 ID; .701 OD) and .278 link (SS) and oversize/hardened link pin. On the majority of guns, kits simply drop-in. 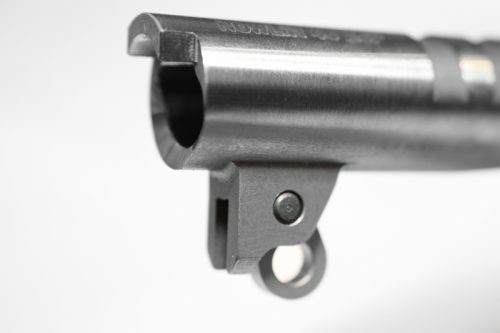 Gunsmith fitting of bushing O.D. to slide I.D. may be required in a few guns. 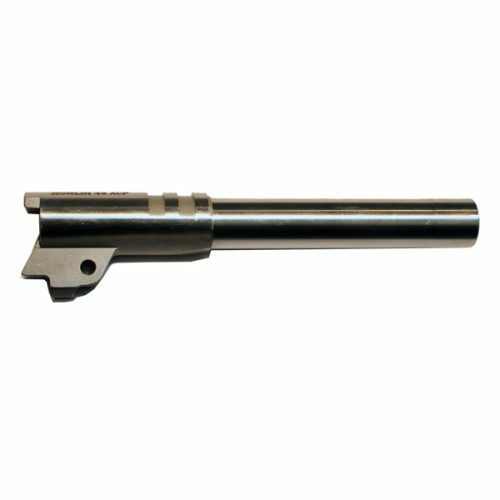 AVAILABLE FOR: .45APC, 9mm, 9x23mm, .38S, 10mm, 40S&W. 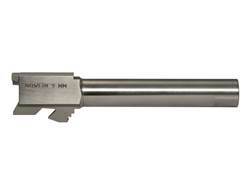 Lengths, 6″, Government 5″, Commander 4.25″.